I pulled deep from within my Italian stable searching purposely for a gem that would pair with dinner. Food and wine are a constant tune, sounding like a soothing set of guitars on April’s song. I turned over enough hibernating bottles to disturb sediment and finally found it. An unassuming candidate in my grasp, cool to the touch, I carried over a bottle to the dinner table to ready it for the shock of serving. 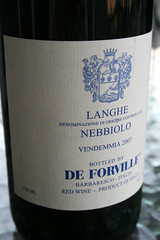 I had decided upon a 2007 De Forville Nebbiolo from the Langhe. The bottle’s Delft-like crest, coupled with the importer seal made me feel at ease for the duty of pairing with a simple dinner of steak, baked potato and asparagus. The pedigree alone would help this entry-level bottle be worth the wait; a producer known for their Barbaresco would obviously know how to coax a starter Nebbiolo into something special. Once it opened up, an effusive, developed perfume unfolded like a James Joyce novel. One of dusty raspberry, mushroom, pepper and a charming hint of country funk (a tolerable amount of brettanomyces) that made you feel you knew where this was going. 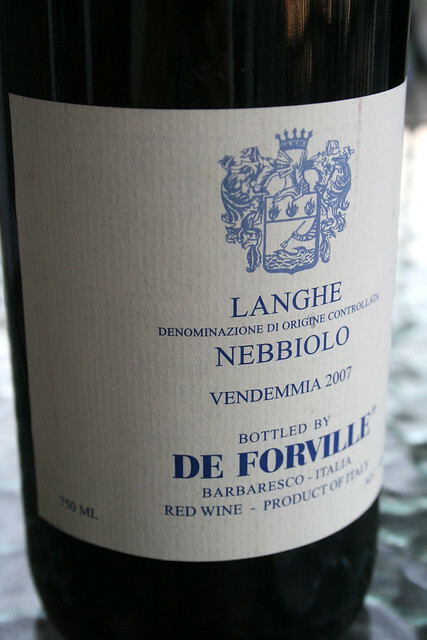 The Nebbiolo continued to show off layers in an elegant medium frame that carried with it a fresh dose of tart cherry followed by a briny component (olive juice) and leather. Over the course of dinner this wine became something much bigger than it had let on. Even the unruly asparagus snapped to as they were quelled by the sagely Nebbiolo—undoubtedly out of respect. 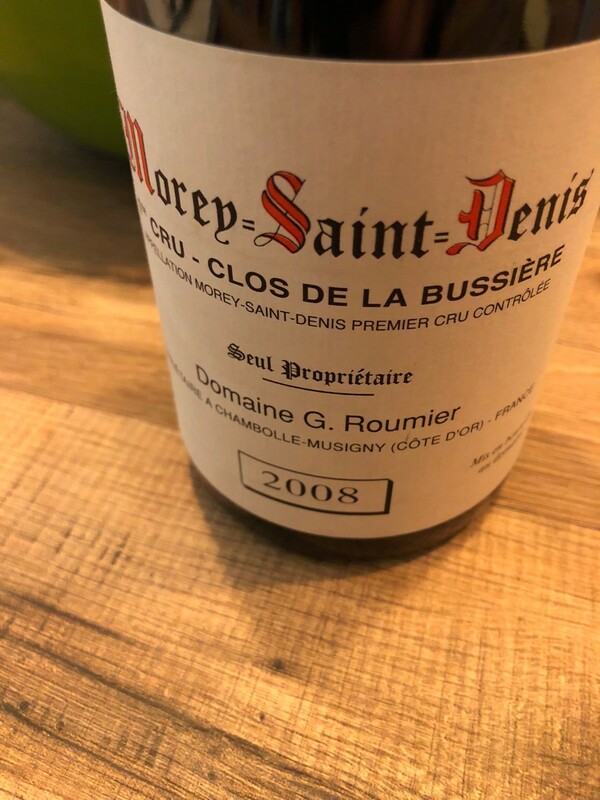 It was a stunning wine that possessed enough acid to clean a mouthful of creamy potatoes and melted butter, while obviously working to enhance the seasoned filet. I suspect that the wine was flat on, reaching its zenith somewhere in the middle frame of dinner and it really wouldn’t have mattered what had been served with it, from rabbit and roasted vegetables to a bowl of ramen. My Italian inclination was paying dividends just as the dinner and music had arrived at their natural cadence.